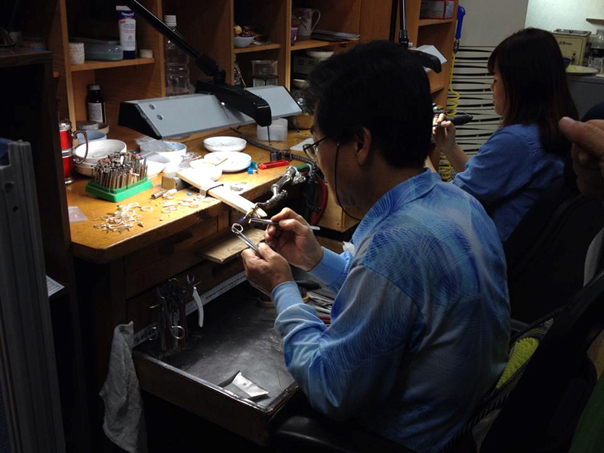 Yesterday, I spent all afternoon visiting jewelry stores and related businesses around Jongno 2-ga and Jongno 3-ga. I guess that no other city has such concentrations of related businesses in one area like Seoul. During the Silla Dynasty, artisans made gold crowns in obscure basements and small rooms. And yesterday, I saw artisans making jewelry by putting together beads that were difficult to see with the naked eye. Yet, this industry is in a state of decline due to the aging of the artisans, the fading custom of exchanging wedding gifts between families of the bride and groom, and the lack of government support. 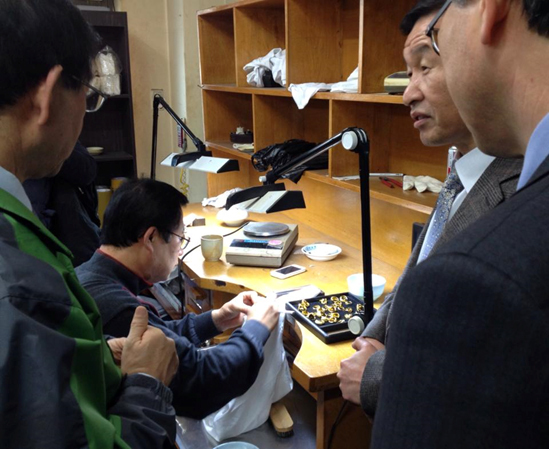 After yesterday’s visit to these stores and businesses and the discussions and consultations we’ve had so far, we will revitalize these jewelry stores and create a world-class “jewelry town” here in the Jongno area by building a jewelry museum and international business center and hosting a jewelry expo.